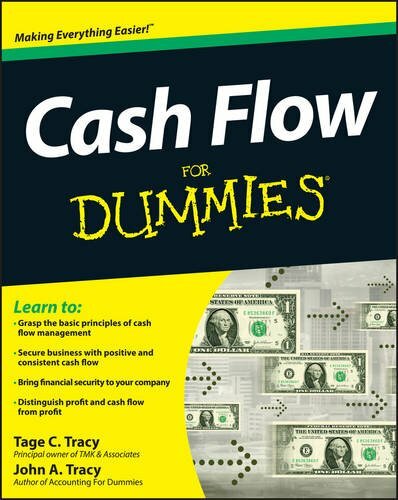 The fast and easy way to grasp cash flow managementCash Flow For Dummies offers small business owners, accountants, prospective entrepreneurs, and others responsible for cash management an informational manual to cash flow basics and proven success strategies. Cash Flow For Dummies is an essential guide to effective strategies that will make your business more appealing on the market. Loaded with valuable tips and techniques, it teaches individuals and companies the ins and outs of maximizing cash flow, the fundamentals of cash management, and how it affects the quality of a company's earnings.